The boyfriend and I were able to spend the first half of our trip in Northeast Germany, exploring Berlin, Dresden and Nurenberg. There were long train rides in between so we saw fewer cities than the second half of our trip, which was in a more condensed area. 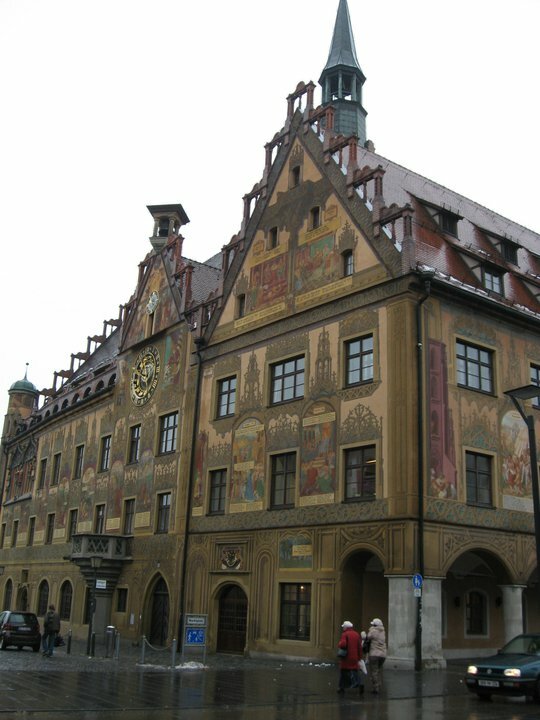 For the second half, we traveled through Munich, Dachau, Passau, Bad Griesbach, Fussen, Ulm, Stuttgart, Tubingen, Heidelberg and Frankfurt, and my friend joined us for this part of our travels. Here’s the photo recap of the second-leg of our trip. 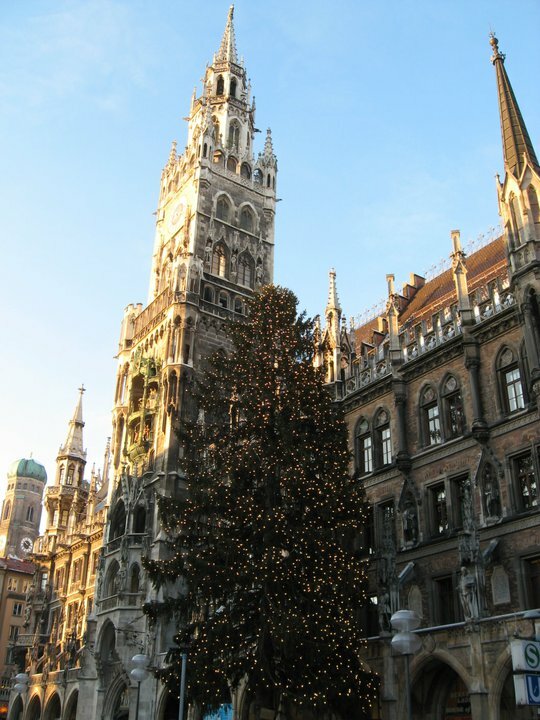 Munich was beautiful and full of holiday decor. We arrived and explored the city, taking pictures, before meeting up with Katie for an awesome dinner in a little beer hall. 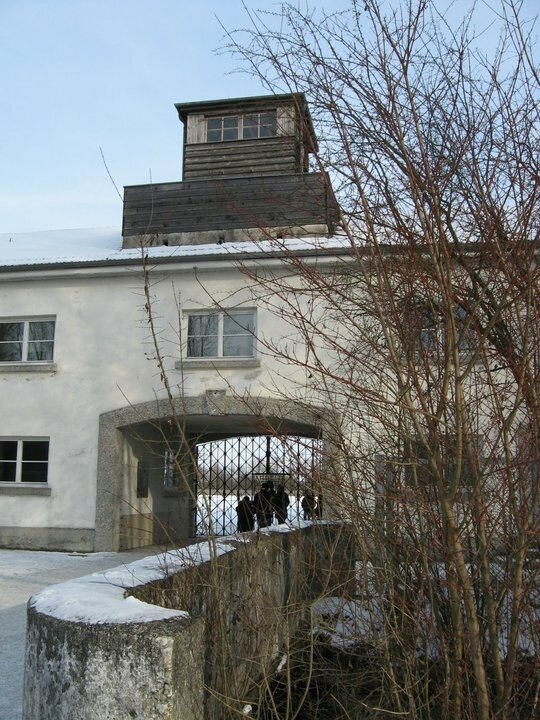 We bought tickets months ahead of time to tour Dachau, and it was a very moving and somber experience. The guide was wonderful in providing all of the history, but the trip itself was very difficult and were were quiet and stuck in our own thoughts on our way back to Munich. We took the train to the border of Germany and Austria to Passau where we caught a bus to Bad Griesbach. 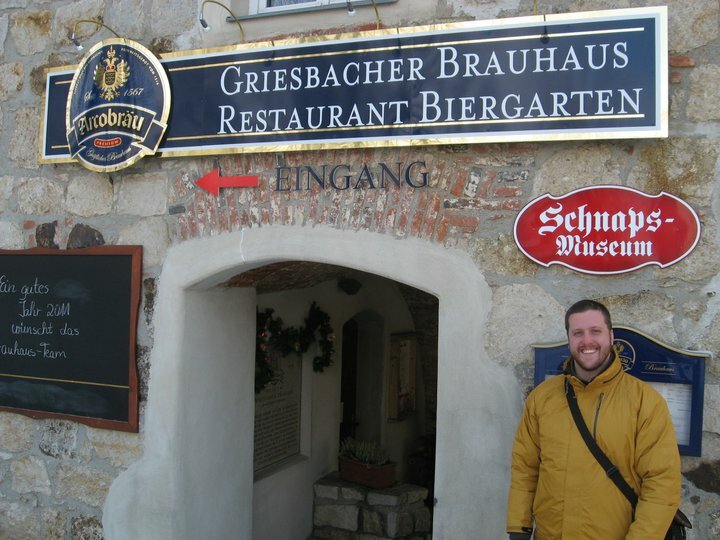 It was a tiny little town, almost no one spoke English, but we took pictures of the boyfriend in front of every sign that featured his last name. He showed his licence to a woman in a store and she got so excited! She even asked him to sign her guest book! We took a bus back to Passau and walked around taking pictures until the train back to Munich arrived. 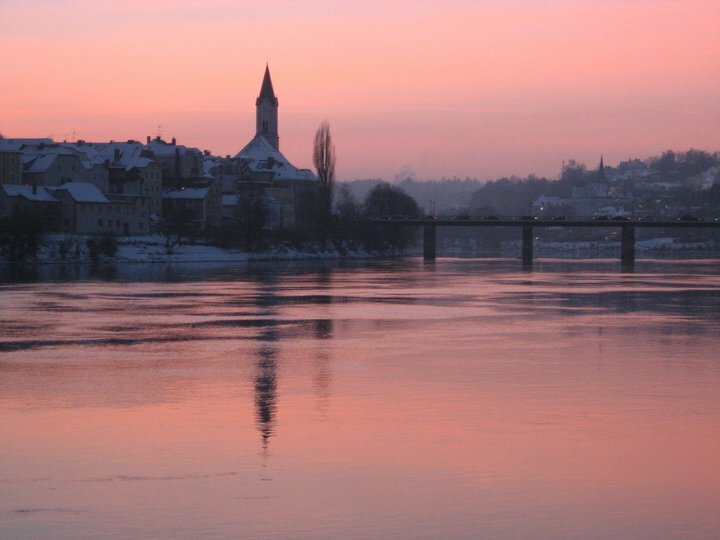 Passau is surrounded by three rivers, and it was beautiful at dusk. 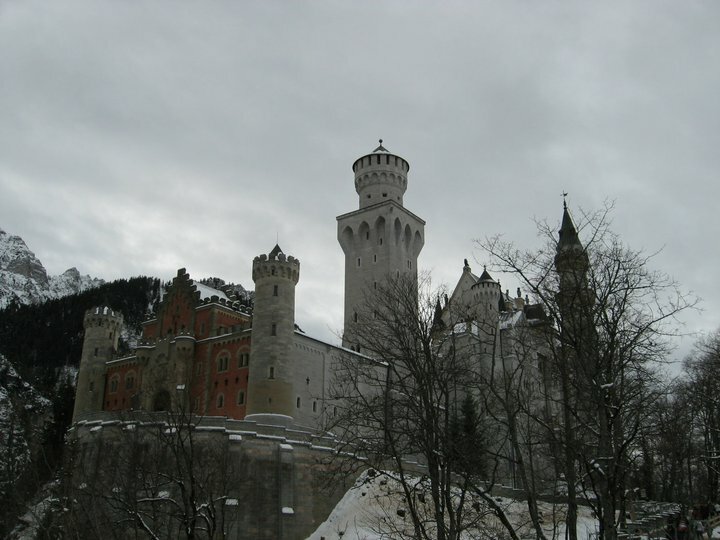 We left early our last day in Munich to take a day-trip down to Fussen to see Neuschwanstein Castle. We took a horse-drawn carriage ride half-way up and then walked the rest of the way. It was breathtaking! We toured some of the completed areas of the castle before walking back down the mountain. 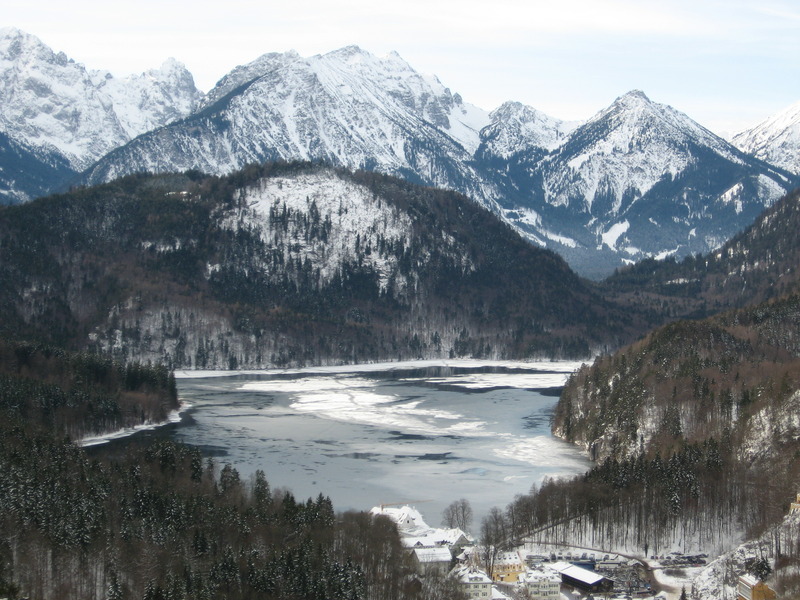 View from the window of Neuschwanstein Castle. 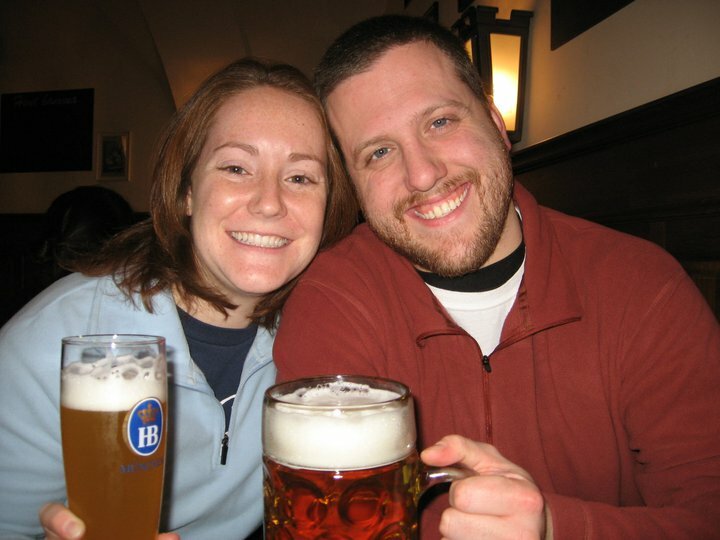 We made sure to spend an evening in the Hofbrauhaus! Prost! Ulm was one of the most beautiful cities, in my opinion. It was rainy, but the buildings were so unique. We stopped and had soup in a little restaurant and walked along the river, stopping to take pictures of swans and other birds. We crossed the river in Ulm and came across a medieval festival and some awesome views of the city. We took tons of pictures of the river and city line. 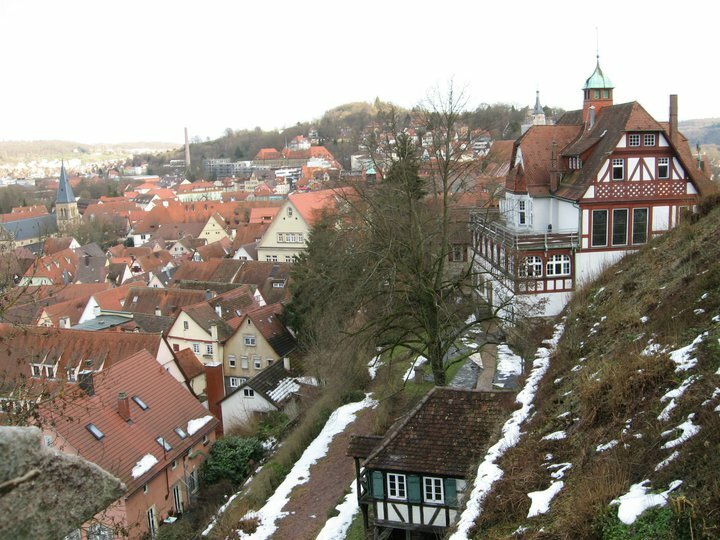 On the recommendation of a girl I traveled with in Ireland, we took a day trip out of Stuttgart to a small university town nearby called Tubingen. 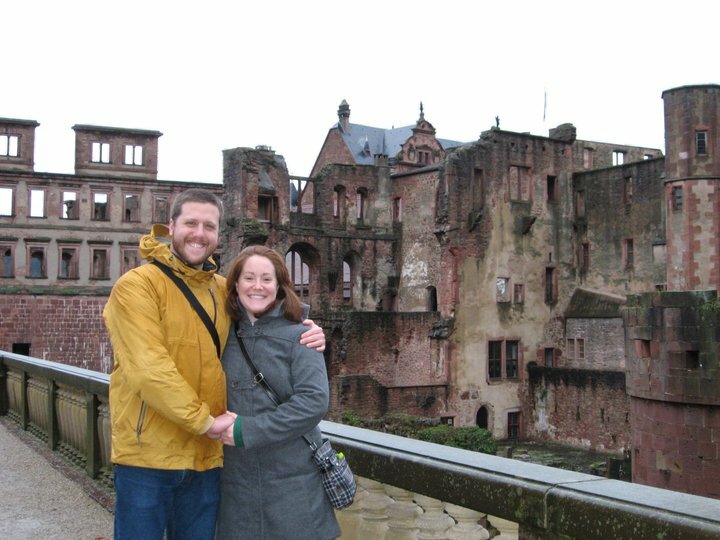 It was quaint and the weather was gorgeous– we hardly needed jackets. 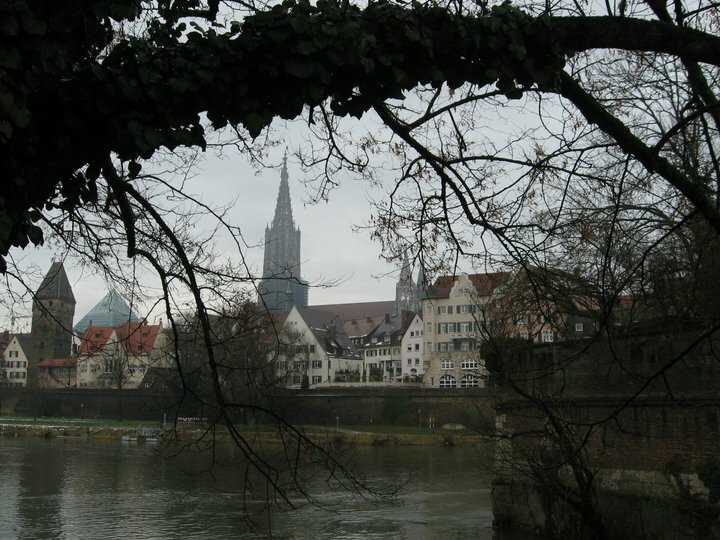 In the heart of Bavaria, Tubingen has beautiful old buildings, a castle and a neat restaurant overlooking the river. We hit the second patch of mildly bad weather in Heidelberg. It was wet and occasionally rainy so we stopped in some restaurants and shops, took a tour of the infamous tower and took a tram up the side of the hill to see the remains of the old castle. We arrived in Frankfurt late in the evening and really only had time for dinner before heading to bed– we had to get up early for our flight home. 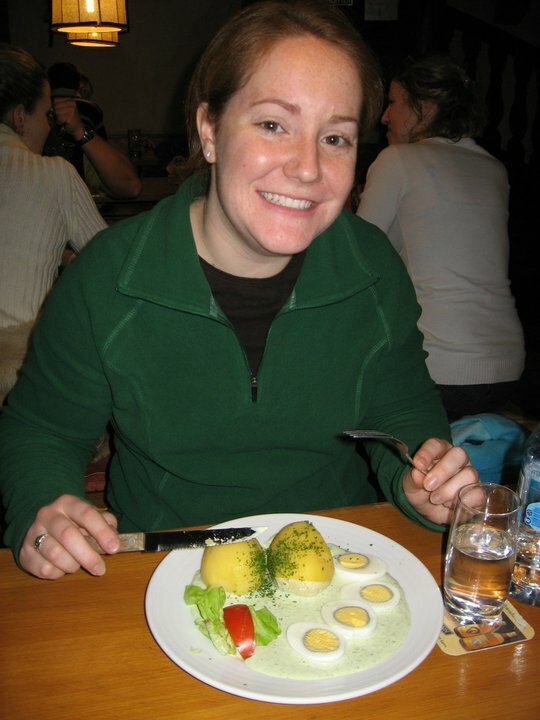 We walked along the river, which was nearly flooding, to an old square and found a little spot where we could get frankfurters as well as eggs in the infamous green sauce. I have to be honest– I didn’t love the green sauce!